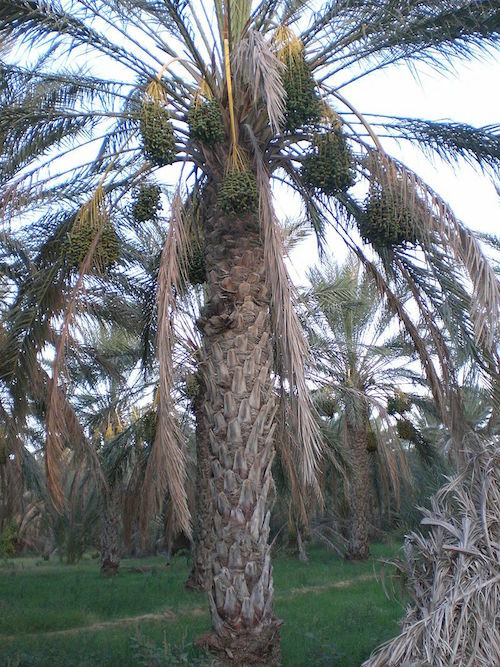 In the various tropical and subtropical regions where it is cultivated and naturalized, the date palm tree is recognized as a valuable resource. The wood, for instance, can be used to construct huts, bridges, and aqueducts. The leaves, when mature, are incorporated into the design of mats, screens, and baskets. But what this type of palm tree is most widely known for is the sweet fruit that it produces: dates. A date palm tree. Image by Madhif. Licensed under CC BY 3.0, via Wikimedia Commons. Since ancient times, dates have been cultivated across various regions, from Mesopotamia to Egypt. The ancient Egyptians, for example, used the fruits to make wine and also ate them at harvest. As traders began to bring these fruits to other areas, the popularity of dates and their cultivation extended to Northern Africa, Spain, Mexico, and the United States. Today, dates are commonly eaten as a snack and are an ingredient in many savory dishes. They are also sometimes used to make vinegar and syrup as well as to form feedstock when mixed with a grain. In Tunisia, a leading cultivator of dates, these sweet fruits are highly valued as both a food source and financial resource. This is especially true with regards to the Deglet Nour date. Grown in inland oases, Deglet Nour dates are easily recognized by their translucent light color and honey-like taste. Deglet Nour dates. Image by M. Dhifallah. Licensed under CC BY-SA 3.0, via Wikimedia Commons. Agronomic practices have a strong impact on the dates’ chemical composition — specifically the moisture content — and thus the overall quality of the fruit. In recent years, an increased proportion of dry dates in Tunisia has prompted the use of thermal processing to generate softer fruits that possess a more suitable appearance and characteristics. For this process to be effective, it is important to control the key unit of operation: hydration. For example, if the hydration time is too long, the shelf stability of the fruit could decrease. On the other hand, if the hydration time is too short, the final product quality might be unacceptable. In an effort to address this concern and optimize the hydration process, one team of researchers turned to experimental tests and simulation analyses. We’ll explore their findings in the next section. For their experiments, the researchers selected a sample of Deglet Nour dates that were harvested in 2014 and stored at a temperature of 4°C and a relative humidity of 65%. They used these dates to conduct hydration experiments at the laboratory scale. To approach industrial conditions, the dates were placed in a closed environment at atmospheric pressure, with temperatures ranging between 50°C and 65°C. Such an environment was achieved by placing the dates in the head space of a metallic enclosure, which was filled with water and heated via a temperature-controlled hot plate. As they were housed in the head space, the dates themselves did not have any contact with the water. Additionally, as a means to prevent overpressure and maintain atmospheric pressure, no insulation was included on the cover of the enclosure. Schematic depicting the experimental setup. Image by S. Curet, A. Lakoud, and M. Hassouna and taken from their COMSOL Conference 2015 Grenoble paper. During the hydration process, the dates were weighed at regular intervals. The researchers determined the average moisture content for the flesh of the dates by drying 3 grams of dates in an oven at a temperature of 105°C for a minimum of 18 hours. By monitoring the dates’ temperature for the various hydration times, they found that the temperature could be considered homogenous. After conducting their experiments, the group shifted gears to performing simulation analyses of the hydration of dates. The image below depicts the 2D geometry that they designed. The geometry includes the date flesh, date pit, and the saturated air that allows the date to be hydrated. 2D model geometry. Image by S. Curet, A. Lakoud, and M. Hassouna and taken from their COMSOL Conference 2015 Grenoble paper. 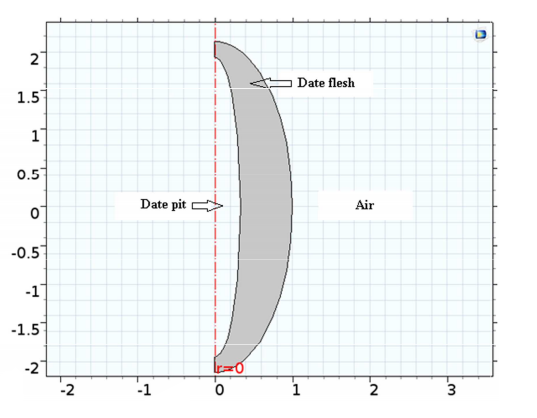 Using this model, the researchers computed moisture distribution in the date’s flesh during hydration and then calculated the average moisture concentration as a function of time. Note that only mass transfer phenomena was taken into account, as the temperature was considered to be homogenous. 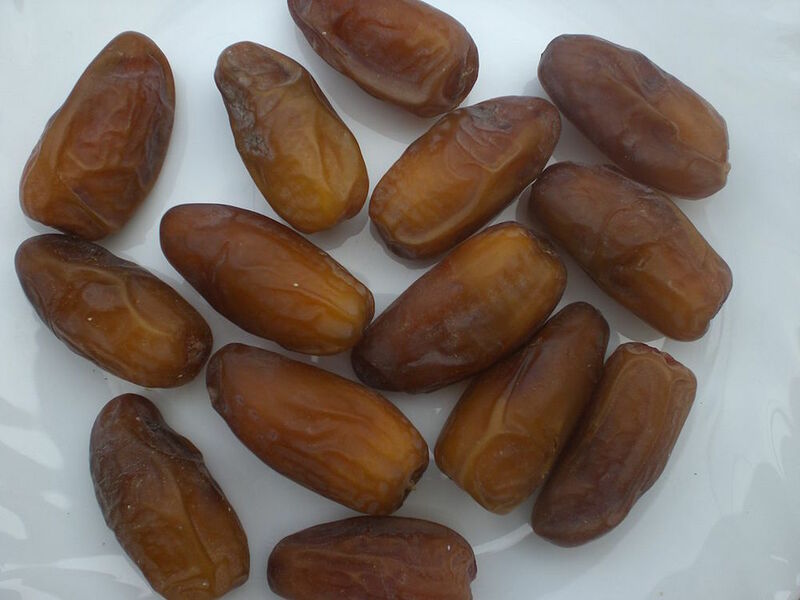 While experiments were conducted for several types of dates, the researchers focused on using the results from two samples of one type of Deglet Nour date, which were slightly harder and drier than the others. The following series of plots compare the average moisture concentration of Date 1 and Date 2. The simulation curves are found to fit quite well with the experimental data. From these plots, we can also see that there is no decrease in the rate of moisture uptake. One possible reason for this behavior is the short length of the hydration times as compared to the maximum industry processing times. Plots comparing the average moisture concentration from experiments and simulations in Date 1 (left) and Date 2 (right). Images by S. Curet, A. Lakoud, and M. Hassouna and taken from their COMSOL Conference 2015 Grenoble paper. The model below shows the moisture concentration distribution within a date’s flesh after 14,640 seconds (around 4 hours) of hydration. As the plot illustrates, the gradient of moisture concentration is higher when closer to the surface in contact with the air. From there, the concentration gradient decreases to zero toward the center of the date’s flesh, where the moisture concentration stays at its initial value. This behavior indicates that diffusion occurs mainly at the outer surface of the date for the range of hydration times considered. Simulation plot of moisture distribution concentration in a date after 4 hours of hydration. Image by S. Curet, A. Lakoud, and M. Hassouna and taken from their COMSOL Conference 2015 Grenoble paper. For any food processing technique, the goal is to balance efficiency with overall quality. In the thermal processing of dates, optimizing the hydration method is a key step for realizing this balance, saving energy while ensuring a high-quality product. 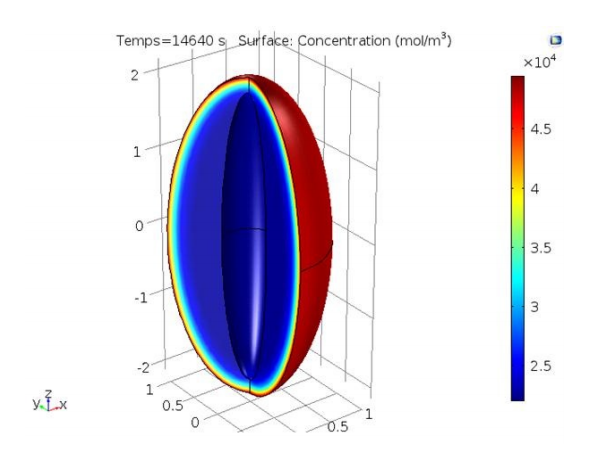 The simulation-based approach highlighted here offers valuable insight into the mass transfer phenomena that takes place in the hydration operation. 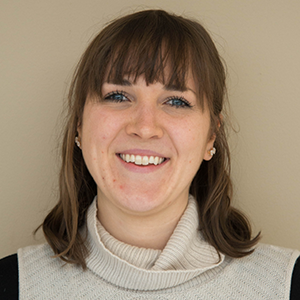 As such, the theoretical model underlying this approach can be used as a resource to optimize the hydration of dates by predicting the necessary times to achieve a desired water content, as well as to reduce the overall processing time.